The hooded Merganser is the bird that pushed us ove the edge. 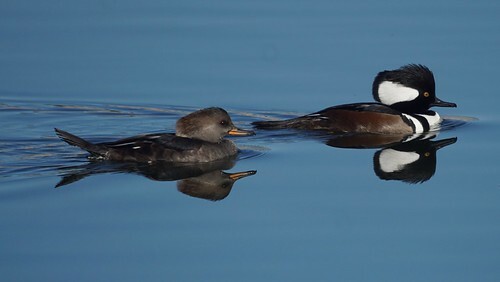 We became birders because these ducks landed in the lake in New Jersey we lived on. I'm glad they spend the fall and winters in Southern California too.